For plastic backed plates we offer the "Eluminum" base, which is a precision ground, solid piece of high quality anodized aluminum. After the anodizing process, the base is laser etched with a ruled grid, making registering your plates a breeze. We laser etch our bases because laser etching is the most precise way to create a perfectly straight grid pattern, and it's permanent. Absolutely no printing chemicals or scrapers will remove the grid pattern, guaranteed. Bases can also be anodized in custom colors, please contact us for more details about custom anodized Eluminum bases. Bases come in both DEEP RELIEF and STANDARD thickness for using all photopolymer plate material. We are an authorized distributor for Bunting magnetic bases. These bases will be ordered and typically will take about a week for standard size bases. Please contact us directly for pricing on Bunting bases. Pricing listed below is for unexposed polymer. 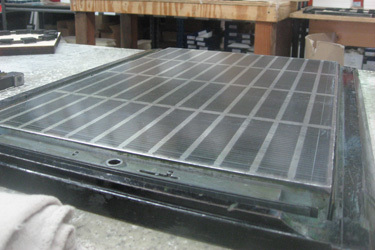 We sell plastic and steel backed polymer in A2 (16.5" x 23.375") cases only. Our adhesive tape comes in rolls only. Rolls come in either 12" x 36yd or 18" x 36yd. We are an authorized distributor of Kutrimmer trimmers. 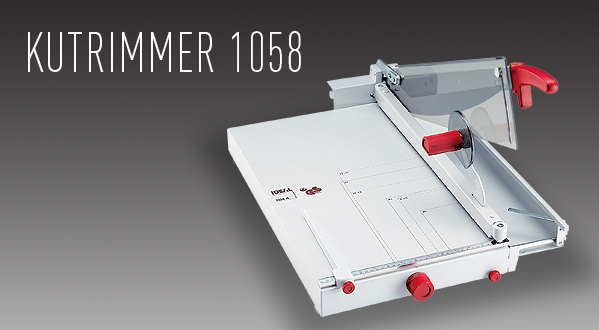 Manufactured in Germany by IDEAL Krug & Priester, Kutrimmer® trimmers are built to the same exacting tolerances as Triumph cutters. All Kutrimmers feature sturdy, all-metal construction and Solingen steel blades. 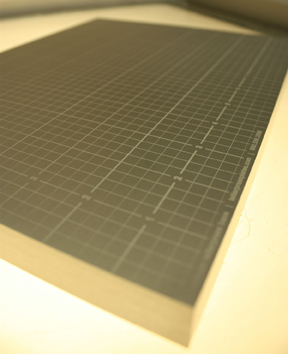 Kutrimmer® trimmers are found in the top art and design studios the world over. At the heart of every Kutrimmer are razor sharp Solingen steel blades, which are unrivaled for durability. All models utilize all-metal construction and advanced safety features such as transparent Lexan® blade guards and automatic blade covers ensure the safety of the operator. This book is "must read" if you are printing with photopolymer or have any interest in making polymer plates yourself. 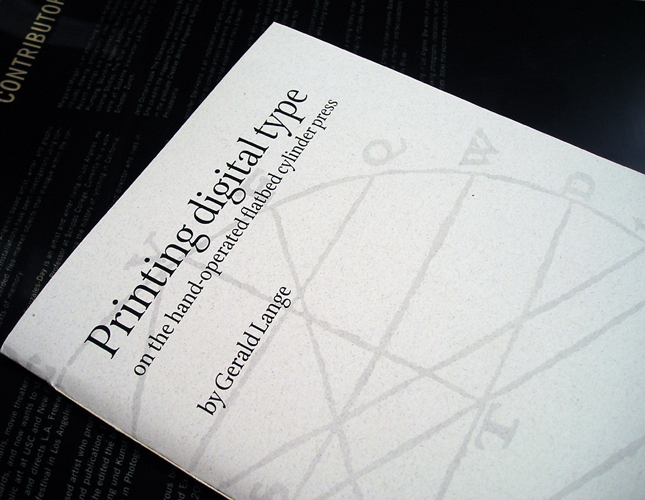 Gerald Lange is a pioneer in photopolymer use for letterpress and has a wealth of knowledge on the subject.